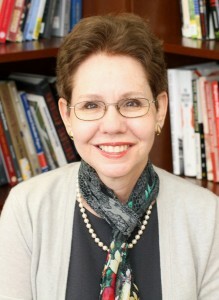 Paula Marantz Cohen has been a professor of English at Drexel for 32 years. She was appointed the Dean of the Pennoni Honors College at Drexel University in 2015. She teamed up with Triangle Talks to discuss her Dean’s Tea events, and talk about the first one of the 2015-2016 academic season, which will take place Oct. 5. Triangle Talks: When was your first time running the Dean’s tea? Paula Marantz Cohen: The Dean’s tea last year was my initiative. I thought it would be a fun thing to do because I’m very into talking to students. And especially because I think what makes a college experience good is when students get to talk about ideas but not necessarily when its focused on a classroom experience. When it’s a little more free flowing and you can have that kind of interaction and at Drexel where everything is very intensive I thought it’d be good if we could have opportunities to just chat about things on a high level but also informally. And that’s what the teas are about. TT: What kind of things do you normally talk about at the events? PMC: Well, we’ve only had a few. We had one where we talked about science and the humanities and whether that split between those two areas is bridgeable or not and how we could facilitate more interaction. That was sort of a more academic kind of discussion. We also had a discussion about binge watching television, whether we think this is good or bad and what purposes it serves. We got some really interesting comments. TT: What kind of comments? PMC: Somebody said, “Well it’s better than taking drugs. It relaxes her.” Other people were saying “I would never waste that time” and others said that it’s very relaxing and something they like to do. I guess I sort of binge watched Game of Thrones after I taught a course on Shakespeare’s history plays. All my students said I have to watch Game of Thrones so I sat down one weekend and watched a lot of it. I’ve since watched the whole series so I was glad that I caught up because now I have something to talk to my students about that’s a little outside the realm of literature. TT: What else have you discussed? PMC: We had another person come in who was a friend on our board. She came in and we talked about branding of the self. Say when you go out into the workplace, do you have to brand yourself? And what does that mean? Then we had a couple of meet and greet teas where we talked about travel abroad and what that meant to them and how important it was. The one that’s coming up will piggy-back on a David Brooks column. He’s a columnist for the New York Times, and it’s about decision making. How do you make good decisions? Is it good to go with your instincts? Is it good to really rationalize your decisions? Or are there other ways to make good decisions especially at this age when you’re in college and things could have really far-reaching effects. One decision could mean a lot in terms of your future. TT: What have some of the best stories you’ve heard from students at these events? PMC: These teas tend to be students who are very curious outside their fields. They’re very hungry for more than just learning. I know that Mai-Linh Bui whom I met through one of these Dean’s Teas and who is helping to organize them was telling me about how she organized TED Talks in her native home of Vietnam. I thought that was really interesting. She was one of the first to introduce TED to Vietnam. She’s a citizen of Vietnam and she’s here on a visa. There were many interesting things that were said but I’m kind of going blank right now. TT: What do you like most about the Dean’s Tea? PMC: I think what I like most about the Dean’s Tea is the diversity of students that tend to come. Not only from all walks of life, all disciplines, but international students as well. And people here, as opposed to some of the other institutions at which I’ve been affiliated do not seem to have very dogmatic political positions. They’re fluid and open. So we can talk about some controversial issues with a certain amount of ease without people digging in their heels. I mean I’ve had people on both sides of the spectrum politically talk about their feelings whether its feminism or its free speech on campus or things like that. I think we talked a little bit about title nine issues and how much the University should legislate those sorts of things. That’s interesting. I’ve had a lot of pre-med students who talk about how sometimes they feel they’re in a narrow box moving toward a goal. They like the fact that they can think outside the box sometimes and not have to be so focused. I think the topic of decision-making for this one is just to get us started. We don’t necessarily just want to stick with talking about decision-making. TT: What do you think about decision-making? I think my decisions have been somewhat in my life looking back, somewhat arbitrary. My belief is that it doesn’t matter what decision you make. You can make any decision work. You have to then make it work, which is investing in it and find your way to make it. I did not know that I would be at Drexel as an English professor. It turned out to be the best possible place I could be. It gave me a lot of freedom. I could deal with students who were thinking outside the box, who didn’t have preconceptions about literature. I don’t think I would have ever become a novelist had I been in a more traditional institution where I would have continued to have been doing scholarly work. It gave me freedom to try new ways of creative expression that I wouldn’t have had elsewhere. It was a decision that I made into a good decision and I think you can do that with almost anything.